European Antiques showrooms are available for Film & TV prop hire. 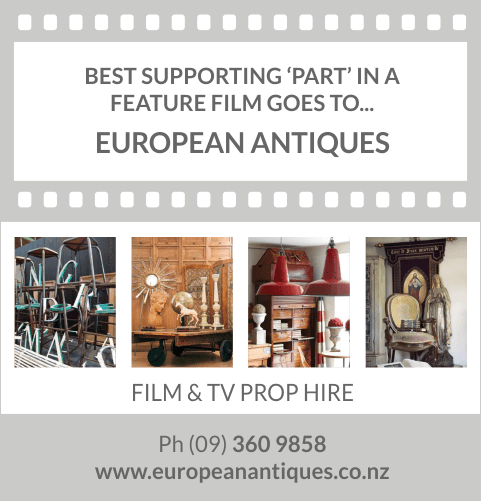 European Antiques provides a prop hire service for clients wishing to use our unique antique furnishings on a temporary basis, ideal for film and TV work, magazine and modeling photo shoots. Our extensive range of antique furnishings is constantly changing and expanding as new products arrive. To see what we have in stock, please browse through our range the website which is updated daily. Our hireage fee is based on 10% of the value of the item up to one week, and longer rental periods can be negotiated. A hire agreement form is available on request. 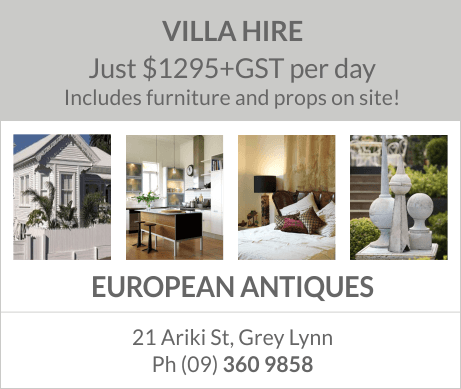 Want to hire a villa inclusive of antique props for a day? European Antiques provides a daily rental service for agencies or photographers. For a daily flat fee of $1295.00 plus GST you have full access to all the unique antique and mid-century furnishings currently at the premises at 21 Ariki Street Grey Lynn Auckland. The villa at European Antiques offers several unique room settings from the kitchen, bedroom, formal lounge, living room to the hedged courtyard garden outside. If you would like to book European Antiques for a daily hire, please contact Meredith on 09 360 9858 or email [email protected] to discuss.